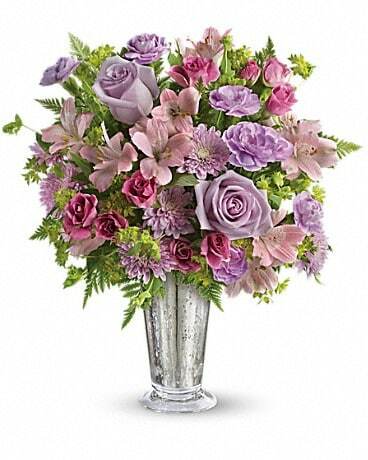 Mann's Flower Shop has served McAlester since 1924. Established by Mrs. Prudence Mann, "Gran" to her family, the business was expanded to include greenhouses by son Walter and wife Alene, and is now operated by third and fourth generations of the family, Ann, Allen and son Jeff. Our business is a retail florist, gift shop and garden center located with our 50,000 square feet wholesale and retail greenhouse range. Every customer and each order is important to us. From a single rose to elegant weddings; bouquets for a new baby to customized European gardens; loose flowers for the spur-of-moment surprise to the perfect remembrance that only flowers can provide for a departed loved one. We are committed to excellence in all areas of service and products, and are eager to help you give expression to your feelings today. Flowers Truly Say It Best. *Our Shop Hours: Monday through Wednesday 7:30 am to 5:30 pm Thursday through Friday 8:00 am to 5:00 pm Saturday and Sunday Closed Our business is open extended hours immediately preceding Valentine's Day and Mother's Day. 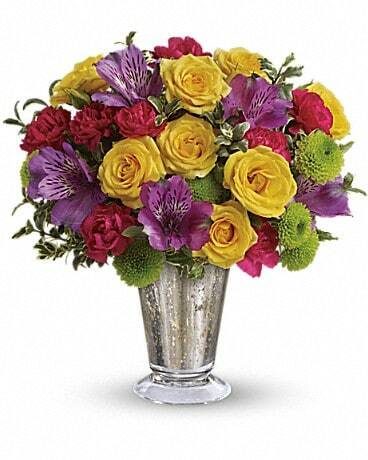 For those two holidays ordering in advance will help insure timely arrival of your gift. We are closed on the following days each year; New Year's Day, Easter, Mother's Day, Memorial Day, Father's Day, Independence Day, Labor Day, Thanksgiving and Christmas. Mann's Flower Shop and Greenhouse in McAlester OK services the following cities and zip codes McAlester, Krebs, Alderson, Tannehill, Scipio, Arpelar, Blocker, Pittsburg, Haywood, Stuart, Indianola, Kiowa, Haileyville, Hartshorne, Crowder, Canadian, and Savanna including the McAlester Army Ammunition Plant. 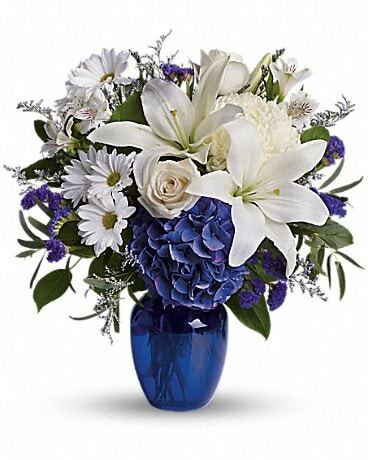 Funeral homes serviced are: Bishop Funeral Service, Brumley-Mills Funeral Home, and Chaney-Harkins Funeral Home. McAlester Regional Health Center deliveries are generally made twice a day. Our experienced staff creates beautiful bouquets for every occasion and takes pride in the freshness and quality of each flower used. Our 50,000 square feet of greenhouses located on site provide fresh blooming and foliage plants daily. We have a large selection of unusual varieties. We also offer garden center products including rose bushes, patio pots, perennials, shrubs and trees. The garden center has a vast number of fountains, statuary, wind chimes, and Italian pottery. Gran's Emporium affords a unique shopping experience. It features candles, signs, pillows, throws, cheese boards and much much more. A local delivery fee of $5.00 will be added to each order, for each address. Delivery fee may vary for out of town orders. Local deliveries can be made the same day if received by 2 p.m.
We will do our best to accommodate deliveries at specific times of day, but we cannot guarantee it. We are unable to make deliveries on Sundays but the order will be delivered the following business day. Delivery of orders to rural route require phone numbers and precise directions. Those going to a cemetery need date of death to enable us to locate the grave through the sexton. We will be happy to accept your international orders if you call our shop at (918)423-6403 directly. We are unable to accept international orders over the Internet.